Mark your planners, set your alarm clocks!!! 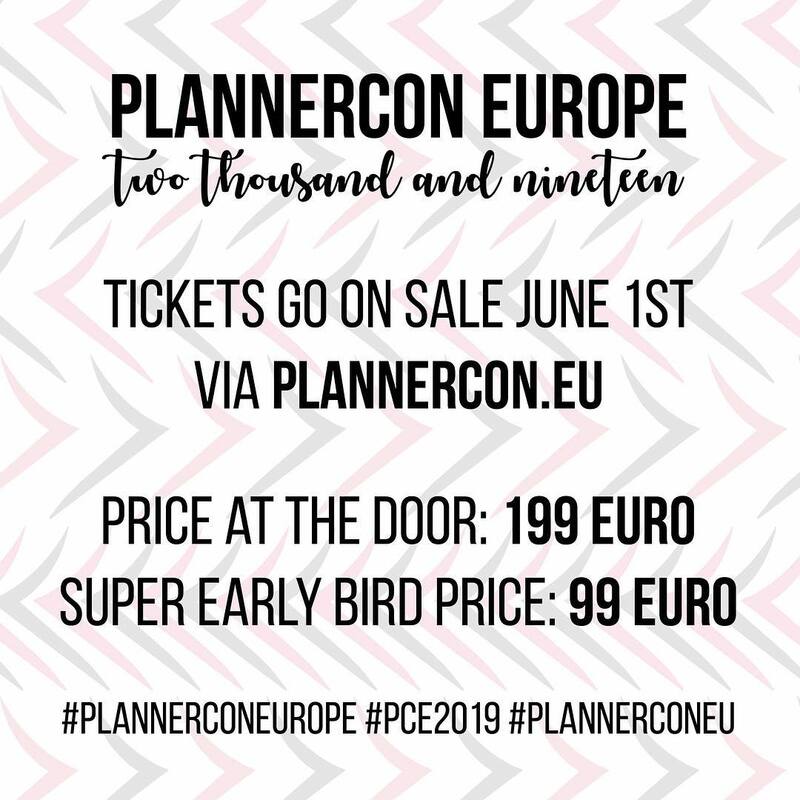 The Super Early Bird Tickets at the amazing price of only 99 Euro FOR THE WHOLE PCE WEEKEND in May 2019. It covers all parts of the programme PLUS a goodie bag is INCLUDED in the ticket price. Tickets will go on sale this Friday the 1st of June at 18:00 Central European Summer Time. 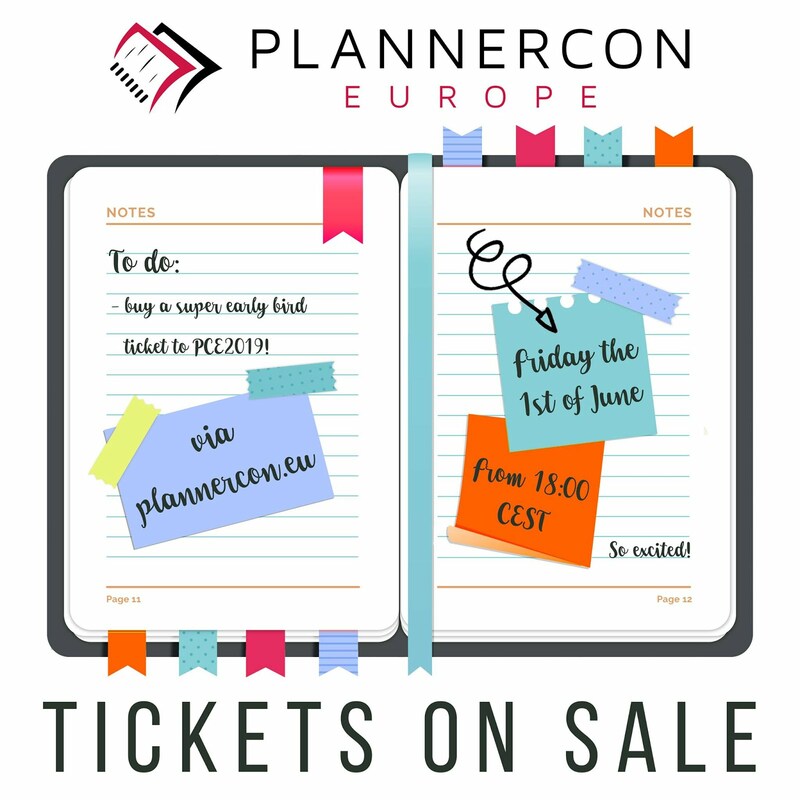 Tickets can only be bought via our website plannercon.eu. Only two more sleeps to go!!! With the advent of the new data protection regulations here in Europe, Google has changed some of the options on Blogger/Blogspot. One of the changes which will impact ordinary readers like yourself is that you can no longer comment on the blog with an Open I.D. profile. They now only permit people with a Google account to comment. If you don't have a Google account already set one up, you don't have to use the email side of things. There have been a few other changes behind the scenes that Google haven't admitted to yet. For instance, I no longer receive an email when a comment has been made. Or an email when a comment requires moderation. 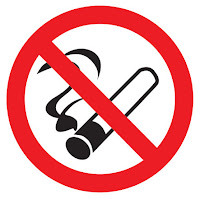 Consequently I now have to log in a few times a day to manually check the blog for new comments or comments that require moderation. So if there is a longer delay than normal in your comment being approved that is the reason why. And before any one suggests it... moving over to Wordpress has been examined in the past and rejected for several reasons. I'm sure you all use tabbed dividers to divide the pages in to different sections. What sections do you have labelled on your dividers? 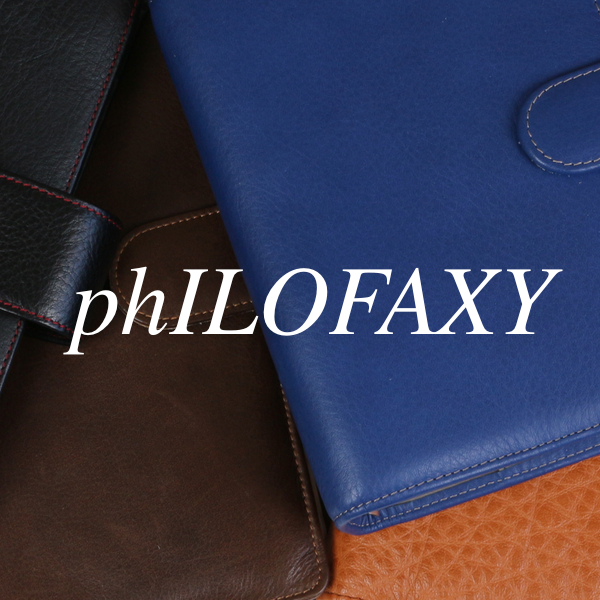 The Filofax 'The Journey' Travel Companion organiser. 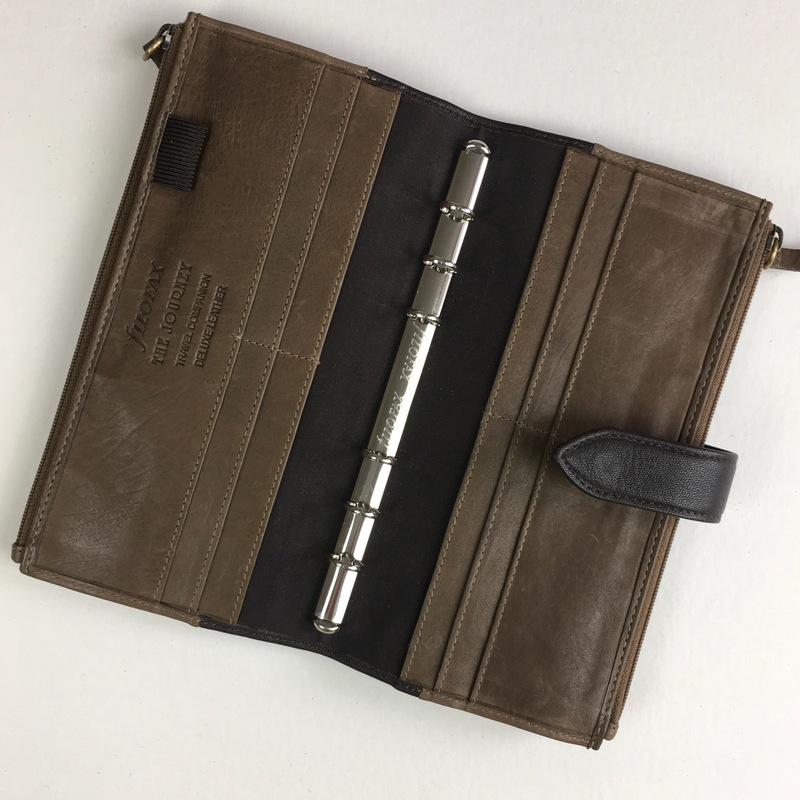 Tiny 11mm rings, but lots of pockets for cards, coins, paperwork etc. Planner peace, and now bag peace. 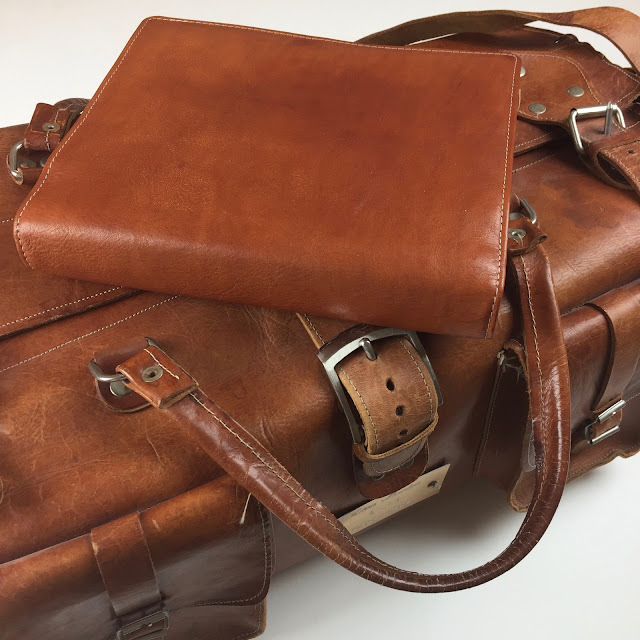 Rough and Tumble bags are... - Olga plans! hellodaytwentyseven: moving into my pre-loved planner. - Olga plans! Pocket Planner Setup - May 2018 - Plan. Adventure. Live. 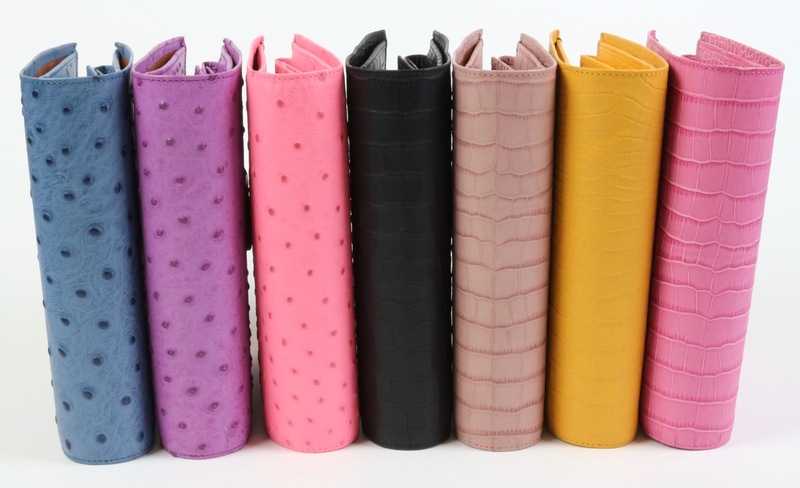 hellodaytwentyseven: i’ve been using my filofax classic croc... - Olga plans! 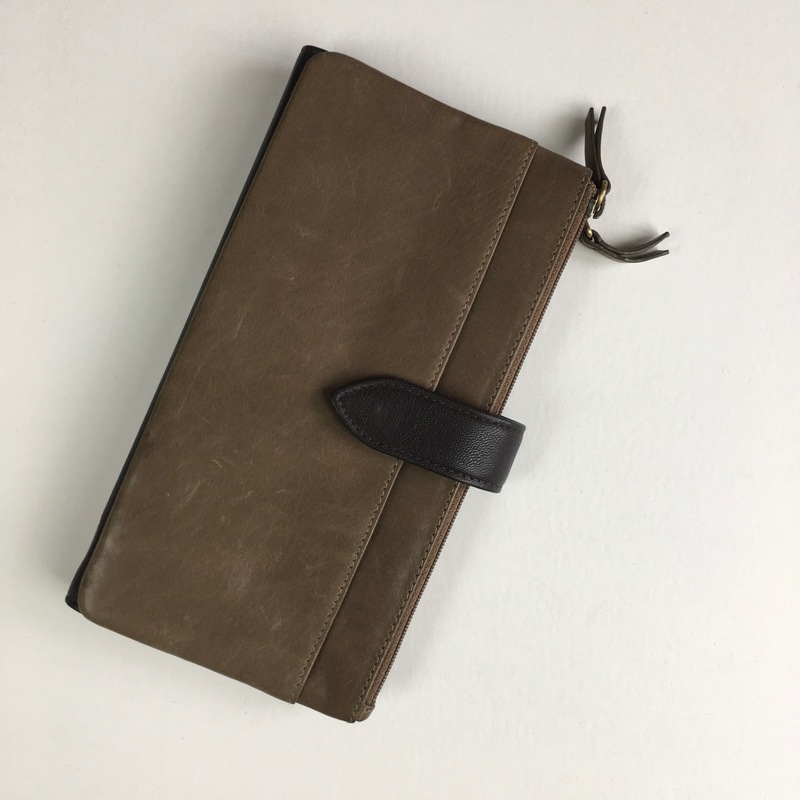 Steve's recent post on buying and selling on Adspot got me thinking about my own Filofax buying and selling habits and how they have changed over the years. Way back in the day when I had my first Filofax, I was loyal to it for a few years. Then other models started catching my eye: color, style, and eventually a larger size (Personal to A5). I went through a few years where I bought numerous Filofax organizers. Eventually I sold some, although I have kept the majority. What are your binder buying/ selling patterns? Are you loyal to your one and only? Have you been through a buying frenzy but have calmed down now? Do you rotate through your stock buying and selling regularly? And as always on Fridays, feel free to discuss anything ring binder organizer related! June 1st is almost upon us, so we are back with more information! As we currently have 352 days to go – yes we checked – we thought to surprise you! We are seriously excited to treat you to a SUPER EARLY BIRD PRICE of only 99 Euro! Ticket price at the door is 199 Euro and prices will climb more towards this amount over time. Not everything I predict about the future and write about becomes fact and true.... good job too I guess! 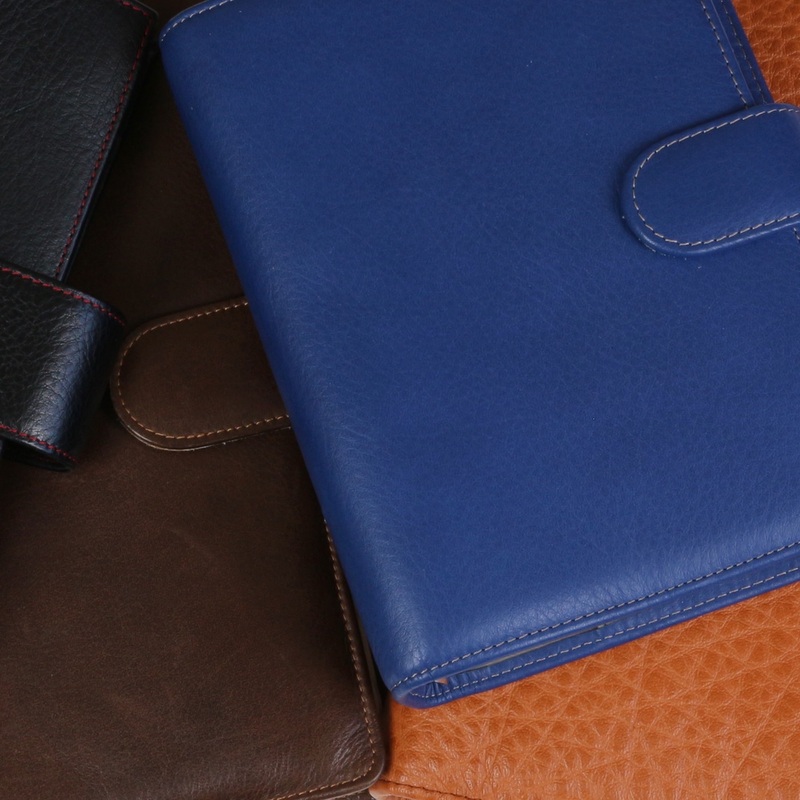 At the time Filofax were in talks about merging with Quo Vadis, the merger didn't happen because at the time Quo Vadis were apparently going through some difficult times as well. If it had gone ahead then may be we would be enjoying inserts of different designs and beautiful paper. Oh and Laurie would be working for the new combine company.... may be! I thought I would give you a quick up date and a few requests too. Karine and I have just finished a five part series on the Podcast. There will now be a gap of about 4 weeks as we are both going to be on holiday or otherwise busy, our holidays overlap hence the long gap. That said it might be possible to do some guest interviews, would you like to be on the podcast? There's no formal qualifications required, I can give you some technical guidance on how to get your computer set up to be able to record your side of the conversation. There's no formal script to follow we record the whole show in just over 30 minutes, nothing ever gets chopped out! The odd distracting noise might be removed but that is all. Therefore it normally doesn't take more than about an hour to do a recording. 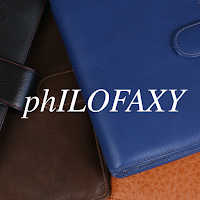 If you would like to join in please contact me steve at philofaxy dot com and we will see what we can do. Also if you have any ideas for future topics or for Karine and I to revisit previous topics comment below or contact at the address above. As always I am also keen to welcome contributions from any of you for guest posts, readers under the spotlight (even if you have appeared before a while ago) etc. Have a good week and again thank you for all your support. My Dragon. Haven’t been in this vintage Mulberry A6 binder for 2... - Olga plans! 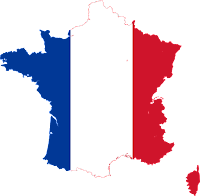 The month of May in my 'home country' of France is one of many public holidays, with there normally being four spread through the month. As you can imagine my diary for May gets somewhat crowded with notes about public holidays and the changes to normally weekly routines such as dull things like bin collections and shop opening hours etc. Do you note down the public holidays for other countries other than the one you live in on your diary pages? Of course it is Friday so feel free to discuss anything ring organiser.